STEM is an acronym concerning the numerical and experimental side of education, standing for science, technology, engineering and mathematics. However, art and design were added to make STEAM — a new policy in K-20 education that teaches students the value of art and design for innovation. 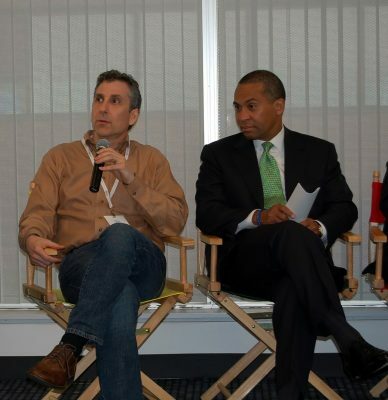 Google Engineering Director Steve Vinter presented on the relationship between arts and technology and how it impacts education in “STEAM: Rocket Fuel for the Innovation Economy” on Friday, at the Google office in Cambridge. He said he believes teaching art in a way that allows students to convey meaningful information is going to increase the amount of learning that students do and the eagerness with which people approach education. Vinter also said technological advances in photography, animation and special effects — to name a few — shine a light on the importance design has for product development. “There is no consumer product out there that you use regularly that doesn’t have an enormous amount of design effort put into it,” Vinter said. STEAM was developed by Georgette Yakman, the founder and CEO of STEAM education. Since then, John Maeda, former president of Rhode Island School of Design, became one of the major leaders in supporting STEAM, working with other universities to spread the importance of innovation for our economy’s future. Greg Blonder said he believes STEM subjects are exciting on their own. An engineering professor at Boston University, Blonder, who focuses on product design and manufacturing, said he’s not in favor of STEAM because it will weaken the power STEM has. Blonder is also against the idea that education has to be utilitarian. He said he believes by adding the art and design element to the acronym, it dilutes the importance of this scientifically and mathematically centered field. Advocates of STEAM, however, say the inclusion of art and design in classrooms will give students a more enriched educational experience, resulting in a more wholesome education, according to the STEAM website. This global movement is driven by teachers in thousands of schools across the world, according to an interactive map RISD released to show the growth and support for STEAM. RISD also provides resources on a website called PBS LearningMedia that allows K-12 educators to browse through videos, audio files and documents in their subjects and grade levels that teach them new innovative ways of learning. However, with all of these educational tools at their fingertips, Babette Allina, RISD’s executive director of government relations, still believes that it’s ultimately up to teachers to effectively deliver those concepts to their students. Teacher collaborations, she said, are also vital for connecting material from all STEAM subjects. But she said RISD is not promoting the integration of five different disciplines. Rather, the “A” in STEAM is recognizing art and design as equal to science, technology and math, hoping to show future inventors the importance of creativity in innovation.